Hard to believe Fell was released nearly six years ago. The entire Rusin clan has been busy with other things; life happens. Children and grandchildren depending on which Rusin you talk to! Amazing stuff. Still, we’re nurturing various ideas for our next film. Not sure when that will happen, since the core people of Rusin Studios live in three different states. 🙂 We will be back. For sure. It’s just a matter of time. Thank you for your support. We wish to express our thanks and deepest gratitude to the Melissa and Mercedes Baker for their support. Amazing artists and wonderful friends! Thank you to the Napa Register for the article about Shahin Gholami. We are indeed busy on a new project – we will be releasing more information on our new film in the coming months. We’re celebrating the official release of Fell on DVD with a special event that will include a screening of Fell. The event will be held at the Baker Art Studios at Ehlers, located in St. Helena, California – in the heart of the Napa Valley wine country. We hope you can make it! Rusin Studios is pleased to announce that Fell is now available from select retail outlets and online. This new DVD includes the final director’s cut with a new introduction segment to the film. We’ve included a nice set of special features, including behind the scenes footage, gag reel, photo slide show, and more. You’re going to love it! Contact us to purchase a copy of Fell. We’ve updated the Fell web site, with new graphics, DVD information, and a new image gallery. The 100 special edition DVDs of Fell we produced in June have been distributed. The full commercial release will occur in the next few weeks as the new artwork is being readied for final proof and the disc content, complete with special features, is complete and ready for replication. And will be available within the next couple of weeks. 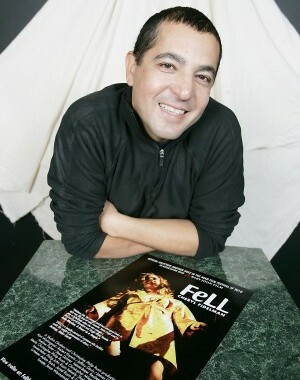 The production of Fell is complete and the movie will be available Spring 2011 on DVD. Please support the distribution of Fell by visiting IndieGoGo and our efforts to reach viewers by providing a donation. For $25 or more you will receive a complementary DVD of the movie and your name will be listed on our website as a supporter. You can also donate anonymously. Thank you for supporting the little guys.